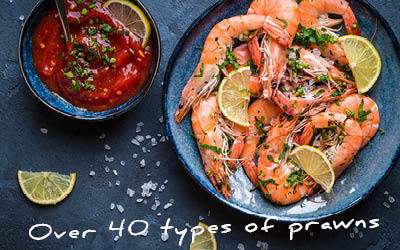 Big prawns, large prawns, jumbo prawns, huge prawns... whatever you call them, your guests will simply GASP! 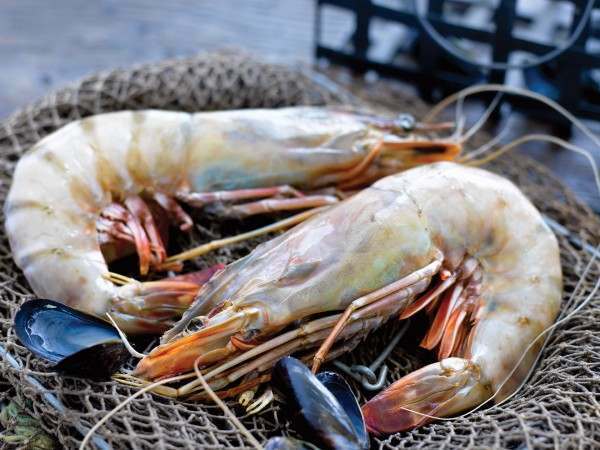 They’ll need both hands to eat these giant prawns which weigh up to half a pound / 220g each (and very occasionally, even more) and are up to 10 inches long. They cook to pink in a trice and yield a huge piece of firm and tasty meat. We should tell you that this large prawn contains a large, er, ’vein’ running from head to tail, which you will need to remove before serving. However, we isually also offer them deveined, here. Related links to "Al Caprawns"